MGM Resorts International made its reputation, quite simply, by being the best. 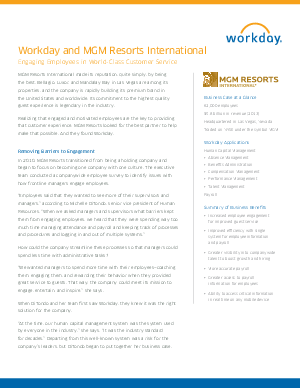 Realising that engaged and motivated employees are the key to providing that customer experience, MGM Resorts looked for the best partner to help make that possible. And they found Workday.